NOBLESVILLE, Ind. 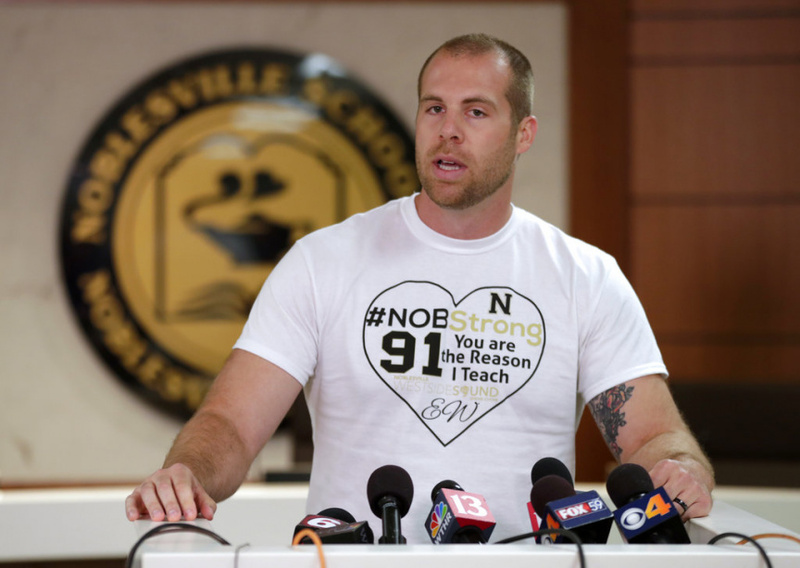 (AP) — A teacher who was shot while tackling and disarming a student at an Indiana school said Monday that his swift decisions "were the only acceptable actions" to save his seventh-grade classroom. The family of the only other person shot, student Ella Whistler, was in critical but stable condition. But school principal Stacey Swan said she's improving. "Her courage and strength at such a young age is nothing short of remarkable," Seaman said. "We all should continue to keep her in our minds as she continues to recover."